Italy should be described as a country which had played one of the main roles in baccarat card game's development: thanks to this country we have baccarat as it is now - with its modern object and rules. Though baccarat is sometimes believed to be originated from China, it is Italy which helped baccarat to spread over Europe and move to America afterwards. 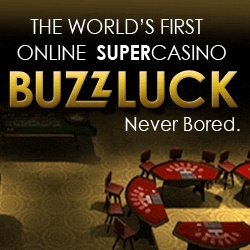 The interesting fact is that baccarat has received its name thanks to Italian language: the word "baccara" means "nothing" or "zero" in Italian; and it is really strange that a card game had been named after the worst result a player can get in it. As far as everybody knows, 0 is the worst number of points which will mean a loss of a player at once! Anyway, such the fact is. "The ritual took place on a high mountains where all young virgins had to throw a nine-sided dice in order to determine their fate: if a girl threw 8 or 9 - she became the next priestess; if 6 or 7 were thrown - she had no right to come into the temple afterwards; if the result was less than 6 - a poor lady had to jump into a deep sea from that mountain and end her life in such a way." We do not know whether this ritual was true or not, but Mr. Falguierein used it to create the rules of baccarat game: 8 or 9 points determine you as a winner of baccarat at once; 6-7 give you some chances for winning at least; but if you have 0-5 points - very small chances are that you'll finish the game as a winner. This King of France was the one who had brought baccarat from Italy in the year of 1490 together with his soldiers during the Franco-Italian war. After that, baccarat began to develop and give a birth to its new variations, such as Chemin de Fer and Baccarat en Banque. France had a great influence on this game of luck and helped it to spread over Europe and America afterwards. 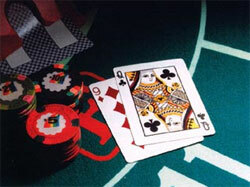 Today, we consider Italy and France to be those countries who presented baccarat card game to the whole world.